Why you should go with Lake Orion Tree Services? Affordable Price: We guarantee best price in Lake Orion. We are always willing to beat the best quote you got! Licensed & Certified: We are licensed by the state of Michigan and our staff is trained in the ISA and INSI guidelines. Safety is our high priority: We put safety above everything else when it comes to each job we take on. Be wary of companies that are willing to do tough jobs for cheap price as they may not take all the safety precautions. Tree Surgeons are rated as one of the most dangerous jobs next to crab fishing, you want people with good skills that will handle the job responsibly. Prompt & Courteous: We take every call seriously, and we'll show up to your house to give you FREE estimates promptly, all of our guys have good reputation for being courteous & respectful. Every job we do we put our reputation on the line so we do a very good job from the tree service to customer service to our professional attitude. Call us today for best deals on Tree Removal in Lake Orion! Professional tree climbers that will remove, trim, prune branches in hard to reach places, service you can count & depend on. 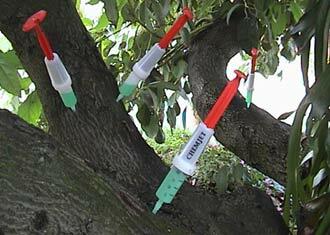 Tree health support by certified arborist, we save disease trees & pest / insect control by organic nutrient injections that strengthen the Tree's own immune system. We specialize in Tree Removal for Lake Orion, the owner of the company worked for a Lake Orion Tree Service company since high school so he has over 15 years experience in taking down trees and even the more challenging tree removal jobs out there. We are all licensed & insured and we strictly follow the safety guidelines set by the ISA. We are the top pick tree care company by many homes in LO because we simply do a great job and we are personable people that take great care for our long term clients. We love getting positive reviews on Google as well so we're always striving to over deliver on service and price. We believe in continually getting better at everything we do so we welcome any constructive criticism. We are very humble people that only wan to continue to learn how we can better serve the people of Oakland County. 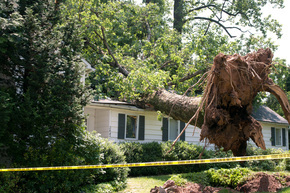 When you need emergency Tree Removal give us a call as well. We are very easy to work with and we promise we'll make your tree service experience as easily as possible. Removing trees before they get out of hand can save you a lot of money on repairs if the trees were to fall down into your home. Also it will reduce the leaves that you will have to rake up in the spring. We do great tree cutting service and tree trimming for whatever reasons you may have. If a tree has a dead branch, it can be a source of infection & disease so in order to prevent potential death of the tree it is recommended that these dead branches get trimmed. Or perhaps your trees have over grown and you want to reduce its size, or its blocking some sunshine into your home. 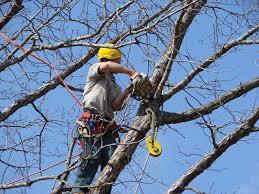 A great tree trim company knows how to properly cut branches that allows the tree to recover quickly. We also know that there are certain types of trees that should not be cut into in certain seasons. Stumps can be unsightly and be a source for fungi & other insects and parasites. It can also be a hazardous if you have young children playing the yard. Not to mention it takes up precious space for your lawn and it makes lawn care more of a hassle. Leave it up to the pros to grind these trumps down into wood chips which you can receive for mulch or we haul it away for you. We clean up everything after we're done so all you are left is a patch of dirt where you can easily grow some grass over. We got real high-end Stump Grinders! We are family operated tree company based in Lake Orion, MI but also serving rest of Oakland County. We have deep knowledge of the different arbors in Michigan to be able to trim & prune trees without causing further damage, as improper tree cut jobs can leave them wide open to disease & infections. We also have some of the best equipment to do the job safely & efficiently. We pride ourselves in the long term relationship with our clients in Clarkston, Auburn Hills, Rochester Hills, Oxford. Call us today for Lake Orion Tree Removal you can count on!